Bolt action pen & pencil bundle: includes one Bolt Action pen kit gun metal, one Bolt Action pencil kit gun metal, one rifle pen box PKBOXGUN, and one PKBOXGUN insert for two pens. Save 15% by buying the bundle! 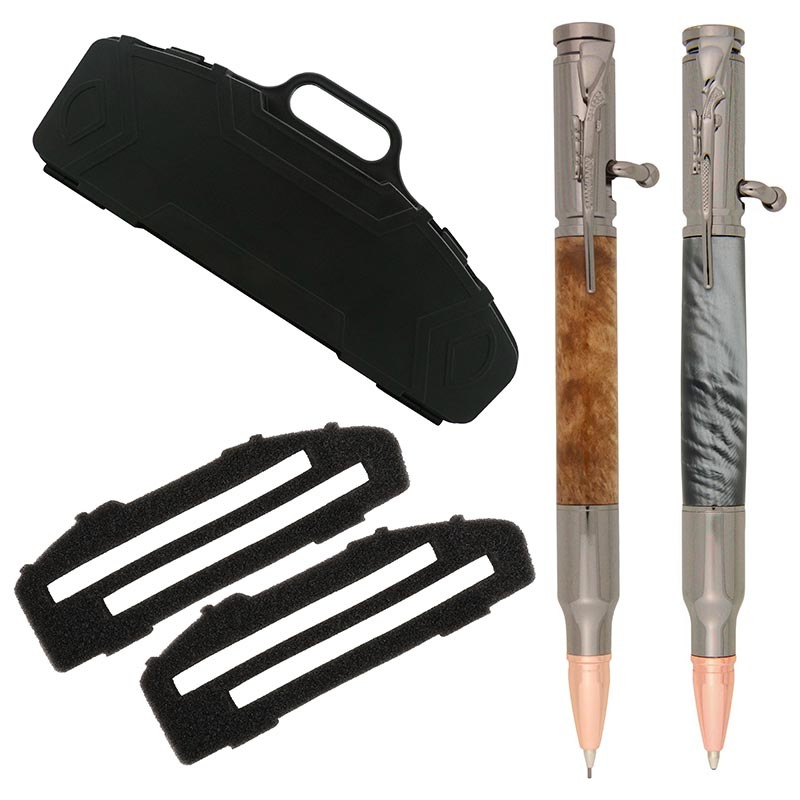 Pen and pencil kits require bushing PKCP3000BU, mandrel A/7 mm, pen mill shaft 3/8 and drill bit 3/8 (sold separately). Pen accepts Parker-style refills.